LOOKING FOR AN ELECTRICIAN IN DEL MAR, CA? At Custom Touch Electric we avoid any unnecessary surprises by working with our customers every step of the way from start to finish. We assess the customer’s individual needs, make sure the work remains within their budget, and communicate any unexpected problems that we come across so there are no rude surprises. When you need repairs or a major electrical upgrade for your home or business don’t get in over your head by trying the work yourself. 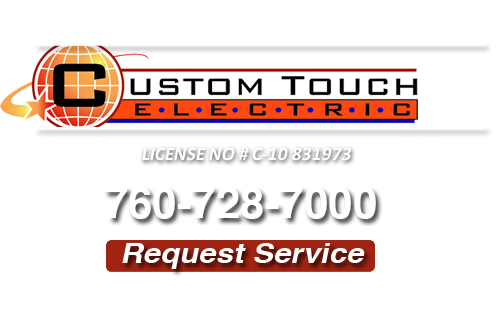 Leave the job to the experts at Custom Touch Electric. We will get everything back in working order with lightning speed. A trained and skilled electrician and electrical contractor can make a big difference. Our locally owned and operated business has been serving the Del Mar since 2004, and we pride ourselves in our work. 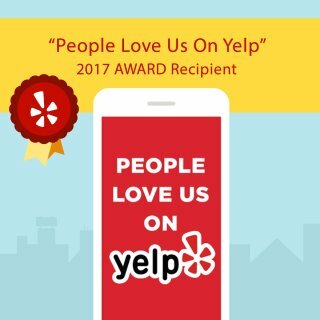 We promise you the very best in customer service every visit. Your business and employees are important to you, and we understand that. The safety of your workplace and employees is a matter of the highest importance, and thus you should consider having regular electrical maintenance conducted. Our experienced electricians and electrical contractors will assess your electrical system to make certain that everything is up to code and passes inspection. We even provide preventative maintenance to help keep minimize potential interruptions and damage from electrical faults. Implementing a newer more efficient system or keeping your existing electrical system properly maintained by a professional is a cost-effective way to keep your workers safe and save your business significantly in energy costs each month. When a system is running at peak performance it will not have to work as hard to maintain a consistent flow of energy to your Del Mar business. This has the end result of consuming less electricity than it otherwise would. Consider having Custom Touch Electric’s professional electricians pay your Del Mar business a visit to see if your electrical system is proper for the needs of your business and to make certain that everything is in working order. Keep up-to-date on your businesses’ electrical maintenance and avoid completely preventable complications. If you live in an older Del Mar home the chances are you could highly benefit from conducting a panel upgrade. Older homes tend to have boxes that are by no means efficient when compared to newer systems. We recommend that you upgrade to a new panel box which can provide a much more consistent flow of electricity throughout your home. Upgrading your electrical box is a great idea if you have overused outlets, as you do not want to run the risk of overloading a circuit. A new panel box can help avoid putting too much of a burden on your system and overall improve your home’s electricity management. Installing new devices in your home may also mean an increase in electrical consumption, but with a new panel box you might actually find yourself using less. The reason for this is that a panel upgrade tailored to your home’s needs is able to properly maintain a balanced flow of current. If you are placing less strain on your system it can do its job more effectively. When you are in need of an Electrician for Del Mar, CA call us at 760-728-7000 or complete our online request form.